This is a final picture varnish that creates a subtle gloss finish on oil paintings. Use it with opaque and semi-opaque colors. Painters have always developed and adopted their own special strategies to create the ideal paint film. 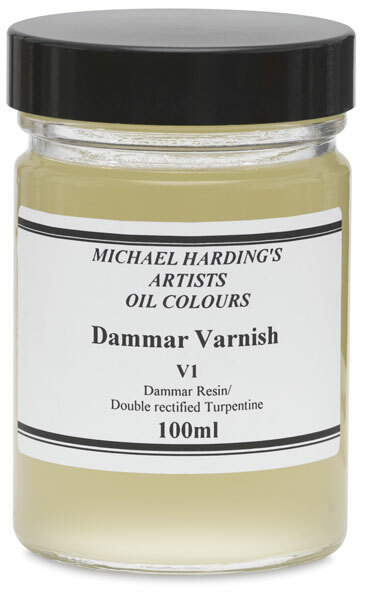 Michael Harding, in collaboration with writer and artist Pip Seymour, has created a range of oil mediums and varnishes that are specifically intended to work with Michael Harding Artists Oil Colors. 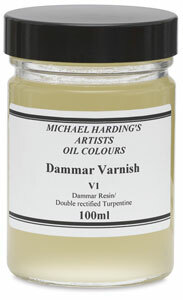 In formulating these Mediums and Varnishes, Michael Harding and Pip Seymour had three goals — to use only the highest-grade natural materials in order to ensure excellent working properties, to guarantee compatibility with Michael Harding Artists Oil Colors, and to ensure long-term stability when added to the colors. The result is a range of varnishes and mediums that are an essential accompaniment to the painting experience and practice.